After seven years as a research assistant at the Max Planck Institute for Psycholinguistics, Laurence went on to complete her PhD at the MARCS Institute in 2016, working with Anne Cutler, Michael Tyler and Mirjam Broersma. 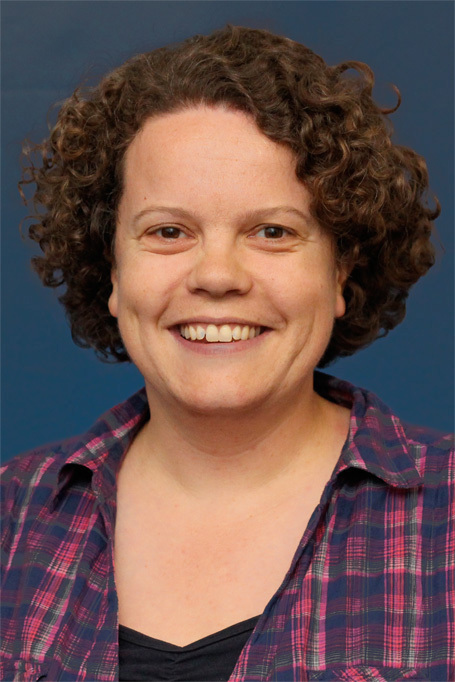 She then moved to the Child Language Lab at Macquarie University, where she was a postdoctoral fellow in Katherine Demuth’s Child Language Lab and an associate investigator of the ARC Centre of Excellence in Cognition and its Disorders (CCD) from 2016 to 2018. In 2018, Laurence returned to MARCS as a postdoctoral fellow in spoken-language processing with the ARC Centre of Excellence for the Dynamics of Language (CoEDL). She is also an Honorary Postdoctoral Fellow at Macquarie University. Bruggeman, L., Millasseau, J., Yuen, I., Demuth, K. (accepted). The production of voicing and place of articulation contrasts by Australian English-speaking children. In Proceedings of the 17th Australasian International Conference on Speech Science and Technology, Sydney, Australia. Bruggeman, L. & Cutler, A. (2016). Lexical manipulation as a discovery tool for psycholinguistic research. In Proceedings of the 16th Australasian International Conference on Speech Science and Technology, Sydney, Australia (pp. 313-316). Bruggeman, L. & Janse, E. (2015). Older listeners' decreased flexibility in adjusting to changes in speech signal reliability. In The Scottish Consortium for ICPhS 2015 (Ed. ), Proceedings of the 18th International Congress of Phonetic Sciences. Glasgow, UK: the University of Glasgow. ISBN 978-0-85261-941-4. Paper number 880. Cutler, A., & Bruggeman, L. (2013). Vocabulary structure and spoken-word recognition: Evidence from French reveals the source of embedding asymmetry. In Proceedings of INTERSPEECH: 14th Annual Conference of the International Speech Communication Association (pp. 2812-2816). Cutler, A., Otake, T., & Bruggeman, L. (2012). Phonologically determined asymmetries in vocabulary structure across languages. Journal of the Acoustical Society of America, 132, EL155-EL160. doi:10.1121/1.4737596.